BUY 1 "Playmobil City Action 6919 Police Headquarters With Prison" & get 1 "Playmobil Sports & Action 6183 Cosmic Flying Disk with Astronaut" for FREE. There are not two days that are the same at the PLAYMOBIL police headquarters. Here, new police officers mix with experienced ones, who have become legends within the force. But they all share the same goal, which is making sure that justice and order rules in their neighbourhood. 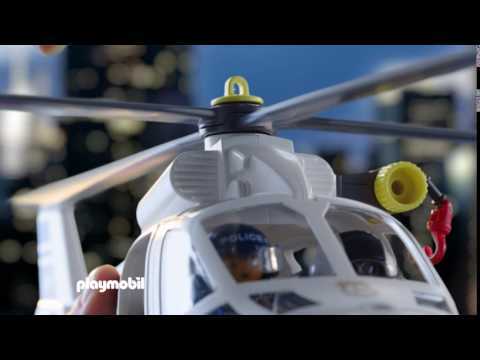 The PLAYMOBIL police headquarters features a command centre, a landing pad for helicopters, a small prison and wall through which the inmates can escape and other fun features that will help you create grand police adventures. Includes 3 figures and accessories. Great catching and throwing action! With outer space heroes for inserting inside the flying disk.